Whitney Houston's daughter Bobbi Kristina is said to be recovering in hospital two weeks after being found unconscious in a bathtub in her home on January 31st. Kristina's partner Nick Gordon is facing allegations from her family that he is responsible for her injuries and current condition. Ever since arriving in hospital in Atlanta after being found at the couple's townhouse, 21 year old Kristina has been kept alive by ventilator. Kristina's aunt Leolah Brown, sister of Bobby Brown, has said that she is doing better and denied rumours online that her condition was deteriorating and that the family were considering terminating life support. Brown said "So many signs that she will be OK. Despite what people are saying over the Internet, Krissy is fine. She’s opening her eyes and there’s a few more things that she’s doing. Krissy is doing well right now." She also shared her belief that Gordon is responsible saying "I believe Nick Gordon will be charged with this. I hope that he will be charged with this as well. Soon. I really do." 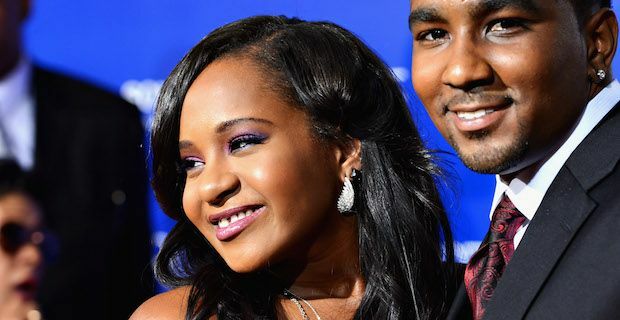 A cousin of Bobbi Kristina, Jerod Brown, has also said that the family will not permit Gordon to visit the hospital and that he is "taking legal action to get visits to see Krissy right now". Jerod also asked people to keep Kristina in their thought and prayers saying "Right now, we have the chance to save Bobbi Kristina and the best way we can save her right now if through prayer."